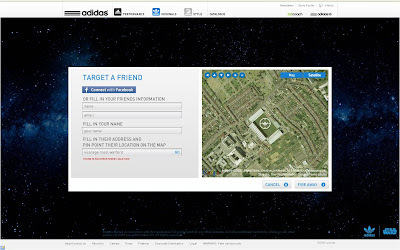 Adidas / Facebook / Google Maps / Star Wars mash up - blow up your Facebook friends with a giant Death Star Super Laser! 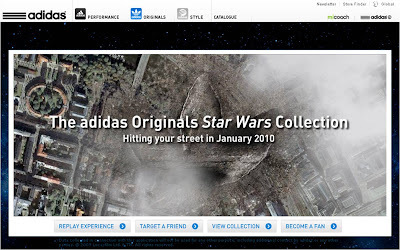 Users of the 'Adidas Originals application' control a giant Death Star Super Laser that can be used to 'blow up' various streets on Google Maps! Friends can then be targeted either through directly inputting their details or through using the Facebook Connect application integration. Adidas Death Star Super Laser - Target Stockholm! This is a great example of mashing movie footage with real world imagery and using Facebook Connect / Google properties to bring the whole thing to life. 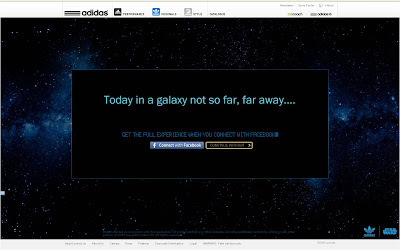 As with the Guinness 'Bring It To Life' Google Earth example, Google provide the platform and then Facebook Connect sits on top of this, bringing social / friend interaction to the experience - but most of all the Adidas Death Star Super Laser is easy to use, a bit silly and very shareable! Also makes me wonder if there is anything that won't be Facebook Connect-ed in 2010? They've pushed the boat out on this one!